You found these before they were cool. 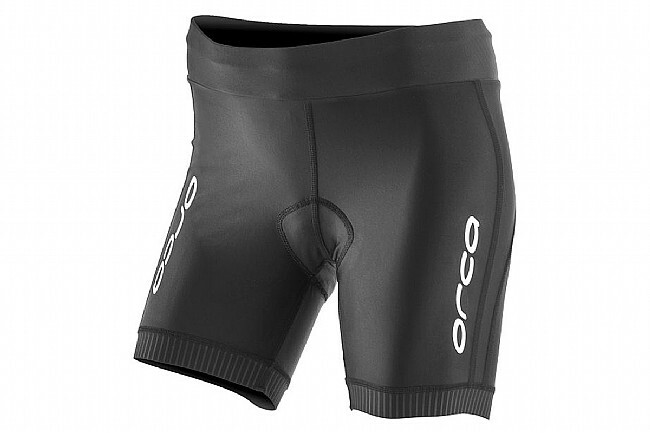 The Orca Core Hipster Tri Short is designed with high-quality Italian eco-friendly fabrics, made from recycled nylon. Providing comfort and speed in both running and cycling, the Italian-made Tri-tech chamois, designed specifically for women, lets you pedal with ease, while the elastic grip keeps the short in place at all times. The cut of this short gives you greater freedom of movement. Durable, long-lasting XTRA LIFE™ LYCRA® delivers greater wear resistance for performance over the distance. AquaStretch is a lightweight fabric that provides fast wicking with superior breathability. Orca Enduro treatment adds a water repellent coating, improving performance during the swim. Tri-Tec chamois is Italian-made with 6mm of foam, specifically designed for women. Built-in rear pocket with plenty of space for easy access to nutrition. Elastic grippers keep legs in place, providing a solid fit and unparalleled cmofort. Made with 80% recycled nylon.